Rent a car with us and explore the beautiful island of Crete. Browse our site to get informed about our renewed car fleet and special offers. SunRise Car Rentals started as a local, family business located in Heraklion, Crete since 1982. Now, with over 36 years of experience in the rental sector, our services are available in the entirety of the island of Crete, all its major cities (Heraklion, Chania, Rethymnon, Agios Nikolaos) and at every airport and port. We provide our customers with new cars, perfectly maintained and always at a competitive price, giving priority to safety and hospitality. Browse our site to get information about our car fleet and any available special offers. Dont hesitate to contact us for any inquiries and questions, SunRise Car Rentals highly trained and courteous staff is always at your disposal. Great service and a perfect car, really important for a smooth start of every holliday . I would recommend sunrise to everyone who want reliability and good service. I even got a personal present bc it was my birthday , thanks a lot and will definitely come back in the future. I visited every continent, but there is no better car rental than sun rise car rentals !!! And the owner is a real friend! I would recommend this rentals to anyone who cares for a fast and trouble-free service. Good cars , low price , no deposit and no hidden costs , plus a bonus information about cool places in Crete. great service, good price! great cars! One of the best courteous and helpful customer services i had ever met. 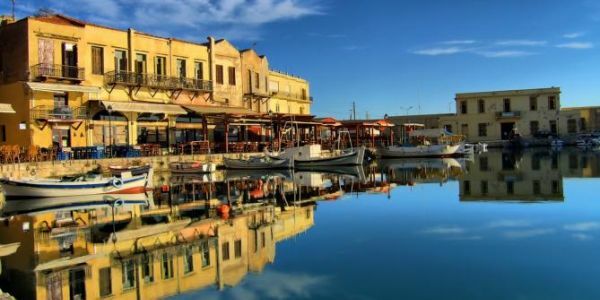 The beautiful city of Rethymno lies on the north coast of the island. Itâs located between the cities of Chania and Heraklion. Itâs the capital of the prefecture with almost 30.000 inhabitants. 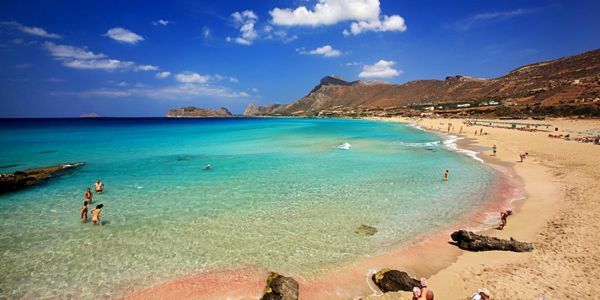 The astonishing beach of Falassarna is located in the western part of Crete, 51kms away from Chania city. It's one of the most popular destinations of the island and has been awarded as one of the best beaches in Europe. The beach is sandy with crystal clear waters and in it's biggest part organized with umbrellas and a beachbar for refreshments. The visitor also has the chance to visit the ruins of the ancient town of Polyrinia that flourished during the Hellenistic times. The only drawback is that if the weather is windy the visitor will unlikely enjoy his time on the beach, so don't forget to check the weather forecast before you decide to head there! Have a nice time!